I don't know how people make road tripping look so fun and manage to wear cute clothes at the same time while documenting it all on snapchat and Instagram. I can tell you from personal experience this past weekend that there is nothing cute about driving between 8-11 hours a day with a loaded down car and an antsy dog in the back seat. Not even the Starbucks lasts long enough to take a picture #gimmethatcoffee. Luckily, we're able to make the drive from Boston to Houston in just three days, and we should be back in the Lone Star state by dinner time today! I'm definitely ready to get into the Christmas spirit with full intensity - bring on all the baking, gift wrapping, and time well spent with family! Also, just as a friendly reminder, don't wait until the last minute to order your holiday outfits and gifts. 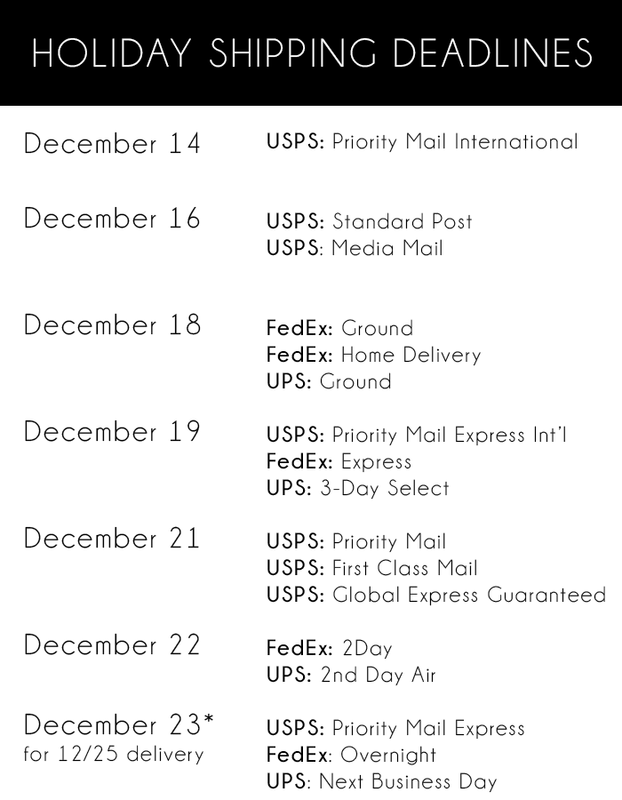 I've already noticed that shipping is taking a little longer than normal and would hate it if something you order didn't arrive in time! 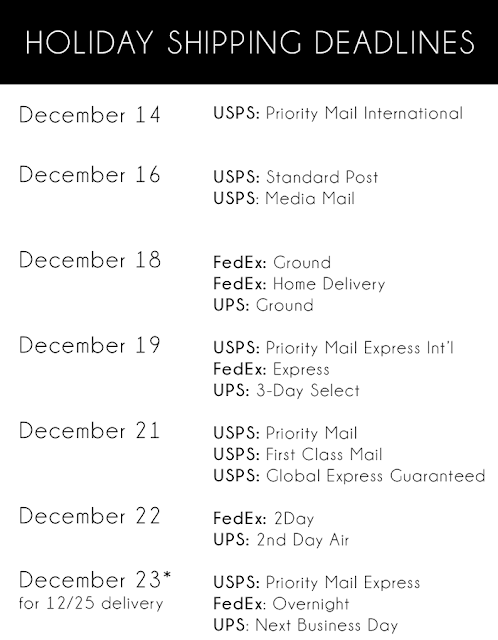 To keep track of it all, I've made a little guideline of shipping deadlines. I hope you had a great weekend and that your week is off to a great start!